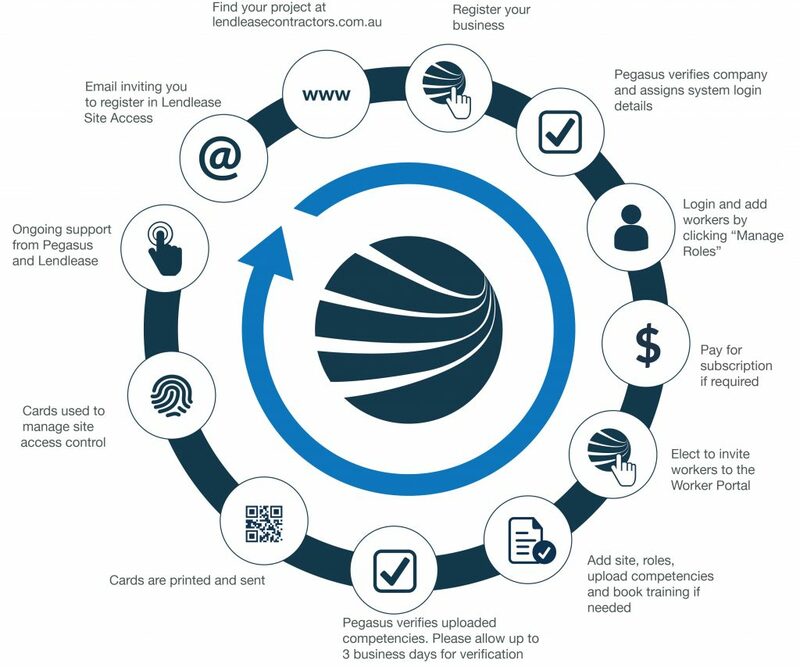 Follow the steps below to register your workers as contractors on the Lendlease South Coast Correctional Centre Project. The next steps are to add your workers to ensure their compliance to work on the South Coast Correctional Centre Project. Pegasus will validate the documents you’ve uploaded for your employees during registration. You’ll be emailed if there are any issues and given a chance to update the information. Upon document approval, the roles will be applied to your employees in the system, and their cards (plastic and eCard) sent. It’s important that you keep your company and employee details up to date, so you’ll be emailed if any of your worker’s documents are expiring so you can update them. You may also elect to invite your workers to the Lendlease Worker Portal, which allows them to manage their own profile. Visit the Worker Portal page for more information.